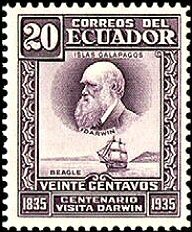 This stamp marked the centenary of Charles Darwin's visit to the Galapagos in 1835. The 200th birthday of two great thinkers, English naturalist Charles Darwin and US President Abraham Lincoln, both of whom have inspired millions, will be celebrated worldwide on Feb. 12. The two men, born in different countries on the same day, never met, and probably never heard of one another. Yet, thanks to modern communication, more people read about them now than in their entire lifetimes. Two other famous men, French inventor Louis Braille and German composer Felix Mendelssohn, were also born in 1809. It is a measure of their accomplishments, of how much they changed the world, that the era into which Lincoln and Darwin was born seems so strange to us now. On their birth date, Thomas Jefferson had three weeks left in his second term as president. George III still sat on the throne of England. The Enlightenment was giving way to Romanticism. 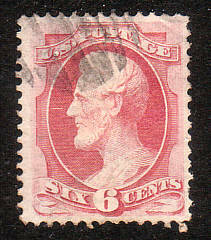 At the center of what people then believed, the tent poles of their reality were that God created the world and that man was the crown of creation... the institution of slavery was still acceptable on both sides of the Mason-Dixon line-it would not be abolished in New York state, for example, until 1827, and while it had been illegal in England since 1772, it would not be abolished in English colonies until 1833. A new book on Charles Darwin, "Darwin's Sacred Cause" says a passionate hatred of slavery was fundamental to his theory of evolution, which challenged the assumption held by many at the time that blacks and whites were separate species. Hundreds of plans to celebrate Darwin's birthday in countries ranging alphabetically from Australia to Yugoslavia are listed on a Darwin Day Web site. And the Lincoln Bicentenary Commission in Illinois displays a long list of coast-to-coast US events planned for this month. 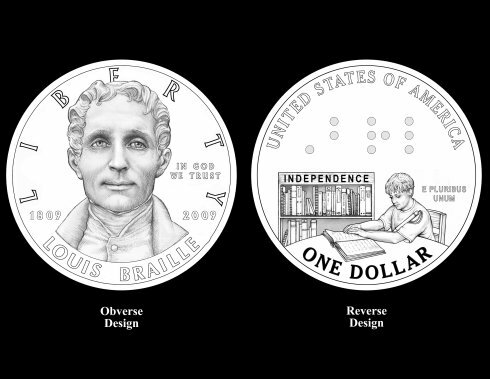 Louis Braille, son of a French saddlemaker, was blinded in an accident at the age of three. He later developed the system of raised dots that enables the blind and visually impaired to read and write, which bears his name. "Over the centuries Braille has had an enormous effect on the lives of millions of people across 120 countries worldwide," says Britain's National Braille Week Web site. "It is not a language but a code by which all languages may be written and read. The ability to read and write in Braille opens the door to literacy, intellectual freedom, equal opportunity, and personal security. It is an extremely important gateway to opportunity for the UK's blind or partially sighted people, enabling them to be more independent." German composer Felix Mendelssohn was famous in Europe, and visited the UK many times. Now his works are enjoyed by music lovers everywhere. "We must rejoice in celebrating the bicentenary of one of the great geniuses of the art" Akrita Reyar wrote recently in India's SpiceZee. "A child prodigy, he revived works of some of the old greats while setting new benchmarks for musicians, whereas for us, ordinary music lovers, he left behind a treasure trove of compositions. Alas, he died young; he was only 38 (Feb1809-Nov 1847). But brilliance is never measured by age, for it is the legacy that a man leaves behind that counts for all times to cherish." On Jan. 23, Martin Steinberg wrote in an AP story, "The world is getting a musical present for Felix Mendelssohn's 200th birthday - the first performances of 13 long-lost works of the German composer. "The compositions were among 270 Mendelssohn pieces hidden in libraries or in private collections around the world, according to Stephen Somary, a conductor and musical sleuth who spent more than a decade hunting the composer's forgotten works. "The 13 compositions - for voice, string quartet, piano and violin - are being performed at New York's Museum of Jewish Heritage." It's obvious that 1809 was truly a vintage year for people who have left their footprints in the sands of time. The only official event that will take place regarding Darwin's anniversary in Galapagos is our award event next Monday the 9th. That day Charles Darwin Foundation will give the Charles Darwin Awards to common people within local community who have support the islands' conservation through their daily work. The award ceremony will be in the same room where the Municipality will open a painting exhibition on Darwin's landscapes - the ones related in his voyage in the Beagle.